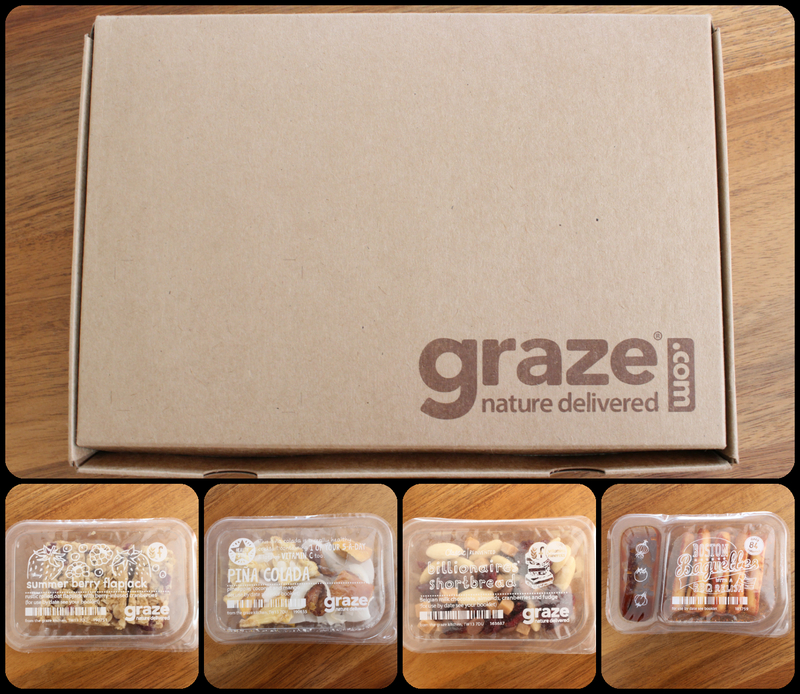 I have found a whole new love for healthy snacking and it’s all thanks to graze.com! I try to be healthy as much as possible but when you live in a country where it’s cheaper to buy a McDonald’s meal rather than a bag of nuts it becomes difficult. Anyway enough about the mess that is the UK and onto the Graze box review! So the first thing that I tried was the Summer Berry Flapjack, I adore summer berries and I love flapjacks so when I saw this I got a little excited and I was right too! In the punnet you get 3 bars, I had 2 for breakfast because I was stuck on what to have and just by having 2 I felt fuller than if I did have a bowl of cereal! Next, I tried Pina Colada, which is a mixture of dried pineapple and mango with coconut shavings. Lately, I have been addicted to a dried pineapple and mango mix from Bear so again I got excited when I saw that I had more dried fruit to try! Unlike more dried fruits it was really soft and easy to chew (just like the real fruit!) and it tasted amazing!! It’s lovely and sweet so it’s perfect if you have a sweet tooth because you can be healthy whilst giving into your cravings. The third punnet was the Billionaires Shortbread, which is a mix of Belgian milk chocolate discs, almonds, cranberries and fudge squares… In short heaven in a tub! Everything is absolutely delicious!! The Belgian chocolate just melts in your mouth, the cranberries are sweet and the fudge squares are to die for! Lastly, I got the Boston Baguettes, which are little bread sticks with a BBQ relish. The bread sticks are coated in a tomato powder that gives them a nice little kick and the relish is made up of tomato, onion, apple, dates, garlic, sugar, vinegar, spices, soy sauce, tamarind paste, chilli, mustard. Together the taste is amazing! !